Comfortably tucked between the Pacific Ocean on one side and the Canadian Rocky Mountain range on the other, British Columbia enjoys relatively milder climate than the rest of Canada, which makes it ideal for a wide range of tourism and outdoor recreational activities all year round. The American state of Colorado is widely known by many factors: its natural beauty, accentuated by the Rocky Mountain Natural Park; its altitude, on average of 2.000 metres above the sea level; or its great climate, with 300 days of sunshine every year are only some of them. And if that was not enough, it also has a variate flora and fauna and some natural wonders, altogether with a rich cultural heritage that can be admired in the “Old West” forts, the fossils of dinosaurs, the mining museums, or the art of the Native Americans and their ancestral dwellings on the cliffs. Imagine if we combine all of these features with golf. As you probably have already guessed, it is like a dream come true. Its high-altitude and astonishing landscapes will leave you breathless the moment you stand on the tee box of some of its best courses. So, in order to choose correctly, here’s a list of the greatest golf tracks you can visit in this gorgeous state. Red Sky Ranch has two courses, one designed by Tom Fazio in 2002 and the other designed by Greg Norman in 2003. From these two, we definitely choose the latter. Situated in the little town of Wolcott, in Eagle County, this club is nestled in the Rocky Mountains. And this fact makes the courses, and especially the Norman one, an absolute visual wonder. The Norman course is a 72 par with top-notch conditioning. The greens are fast and in perfect conditions, and the course counts with also great elevation which makes some holes a real challenge. One great idea is to check their website, where, apart from having all the information available, it is possible to take virtual tours of the whole course. This way you can admire the gorgeousness of each hole from your own home. But of course, it is nothing compared to the real experience! The drawback here is the price, much more expensive than Redlands. You can expect to be charged between $200 and $250 per day, but if that is not a problem, we absolutely recommend experiencing one of the best courses in Colorado. Broadmoor is one of the greatest and classiest resorts of the state. Surrounded by the Rocky Mountains, and just an hour driving from Denver, the capital, it counts with three different courses. The East one is the best-known one, having hosted some major tournaments (Jack Nicklaus won his first major here, the U.S Amateur of 1959). It is also a mix of two different courses, combining 9 holes designed in 1918 by Donald Ross and other 9 holes which were designed in 1952 by Robert Trent Jones (Senior). The East course has some undulated, fast greens that are a real challenge to putt. Apart from this, the course is easy to navigate, and its parkland style makes it really attractive to people with more difficulties hitting the ball quite far. Take a look at the 18th hole, which is by far the signature one. The finishing hole is half beautiful, half tricky. This par 4 starts with an amazing view of the mountains, to end up facing the stunning clubhouse full of people walking by and a pond. Do not get too tense! The second course of Red Sky is a bit more forgiving that its partner. With a great service due to its half-private condition, this track is perfect for those looking for a more fun golf experience mixed with a private-club style of course. The surroundings are as good as the Norman’s, and it has three final downhill holes that will make you finish the day in a memorable way. The prices are the same as the other course. But remember: they alternate the courses for the public, so be sure of planning a two-day trip if you want to try out both courses! Located in the town of New Castle, in the County of Garfield, Lakota Canyon is a fantastic course to play in Colorado. Proof of this are the several awards it won just after its opening in 2004, such as “The best new course of 2005” by Golf Digest, “To 10 New Course” by Golf Magazine in 2005 and “Top 100 Courses” by Golf Digest in 2008. Designed by Jim Engh, it has some fantastic features which makes the course incredibly fun: water hazards, elevation changes, really well maintained sand bunkers and the beautiful yet imposing rugged western canyons surrounding the whole track. Its well-groomed fairways and greens make it challenging but forgiving at the same time. Prices are another plus, charging around $50 to $100 for a day, depending on the time and season. This gorgeously designed course by Jim Engh offers a unique experience paired with a quite affordable price: it was awarded with the 2nd Best New Affordable Course in America by Golf Digest (2003), with maximum rates of $75, cart included. With its name coming from some dinosaurs fossils found in the area, this course is an absolute beauty, mixing the great panoramic views of the Rockies with well-maintained fairways and greens, white sand bunkers and plenty of water hazards. The 12th hole is stunning, a par 5 full of red builders in the middle of the fairway as never seen before. Apart from golf, you can enjoy a comfy clubhouse with a pro shop and a restaurant with spectacular views to the course. Really recommendable! Having named the Broadmoor’s East course, its West partner had to be in the list of best courses in the state of Colorado. In terms of golf, it counts with a mix of level holes with more elevated ones which make this course thrilling and fun. Of course, the views had to be outstanding, with the mountains background combined with the lines of pines following the perfectly maintained fairways at all times.The best holes: the par 3s 9th and 11th, with some green ponds and great views surrounding them. This spectacular course is located in the foothills of the Rocky Mountains, in Castle Rock. Only a 30 minutes’ drive from Denver, it is surrounded by some forests of oaks and ponderosa pines. Its many elevations, combined with the views of Pike's Peak, Devil's Head, and Mount Evans, will inspire you to be at the top of your game playing here. It has some large and rolling greens, extensive fairways and impressive bunkers, which end up in a unique closing hole: a par 4 which challenges you with a ravine and some huge monoliths. Its driving range is really nice as well, and it also counts with the possibility of organising events in the facilities. 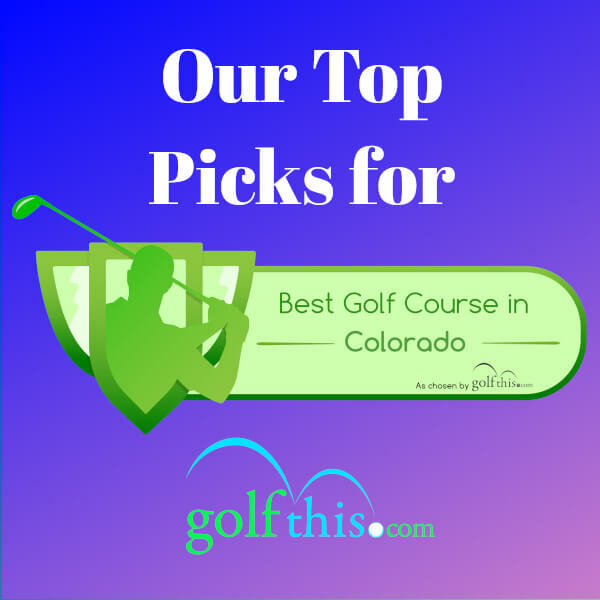 And this would be a great idea: it was awarded as "Best Course to hold a Corporate Event" by ColoradoBiz Magazine, and "No 1 Best Course to Bring Clients" by Colorado Avid Golfer Magazine. So if you want to make a good impression, this is your best choice! This 27-hole course is surrounded by the Breckenridge Ski Resort, a natural paradise that will make you feel like playing in heaven. This track is composed by three round nines (the Bear, the Beaver and the Elk), all of them with the design signature of the legendary Jack Nicklaus. The rolling fairways, beautiful water hazards (the come into play in 11 out of the 27 holes) and strategic bunkers (79 in total) mix up in a fantastic way, and will absolutely make your (golfing) day. Their practice facilities are also a plus: a targeted driving range, a short game zone with bunkers and a putting green. The rates fluctuate between $30 to almost $200, depending on the number of holes you play, the car rental and the season. 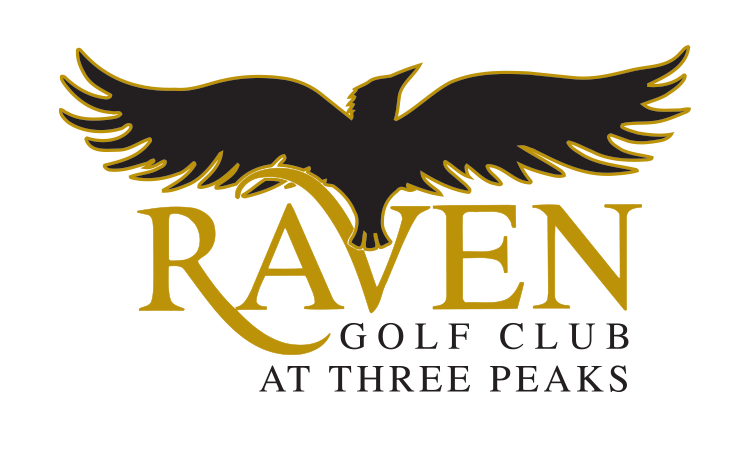 Located in the heart of the mighty Rocky Mountains, the Raven is one of the top mountain golf courses of Colorado. This fact creates some extreme elevations that will make you play up and down the mountain, making it a very entertaining and variable course. It has only one blind tee shot, so you will be almost all the time be able to watch your ball fall down to the extensive fairways. The high altitude will also make your ball fly high, making the wait even more thrilling. There are tons of great holes here, but to name one, let’s go with the 9th: a downhill par 4 which ends into a green defended by some bunkers and a pond. Rates are quite normal, ranging from $60 to $150 depending on the season. You can check all the services in their website, which by the way, is as well-designed as the course! As we have seen, Colorado has a lot to say about golf, and in its own unique way. The Rockies will make it easy to enjoy any course you choose, and it will offer you some of the most spectacular views you will ever see in a golf course. Do not miss the chance!